Axial piston pumps and motors are among the most widely used hydraulic components in modern hydraulic transmissions. The hydraulic system is widely used in various hydraulic systems because it can easily realize variables and make the hydraulic system easy to achieve power adjustment and stepless speed change. Axial piston pump and motor are one of the high-tech hydraulic components. Its structure, variety and complicated manufacturing process. In the case of the development of many hydraulic components, the axial piston pump and motor are relatively stable. The structure, materials and performance are still developing. There are currently three companies in the world that produce curved-shaft pumps and motors: Rexroth, Linde and Swedish VOAC. The displacement of 180ml/r and A2F(5) structure is 200～2000ml/r. The maximum pressure of these two structures is 35MPa and the bending angle is 25°. The A2F(6.1) structure combines the connecting rod and the plunger. For one, it is made into a tapered connecting rod piston. The piston ring is sealed between the piston and the cylinder bore. 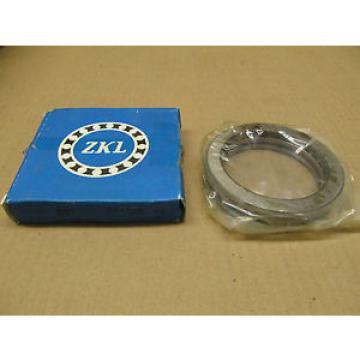 Two heavy-duty tapered roller bearings are used to bear the radial and axial thrust. The bending angle is 40° and the maximum pressure is 40MPa. Therefore, under the same size and weight, the A2F structure has greater displacement and power, and the motor has greater starting and output torque. In addition to Rexroth, Sweden's VOAC also produces pumps and motors with a 40° bend angle. In terms of construction, the cylinders are driven by helical gears with a displacement of 5 to 250 ml/r and a maximum pressure of 42 MPa. According to the development, it can be considered that the Rexroth A2F structure is an improved version of the VOAC structure. A6V and A6VM variable motors. In addition, Linde also produces BMV/R variable bending shaft motors, but the maximum displacement is only 50.2 ~ 60.3ml / r, the rated pressure is 42MPa, the maximum pressure is 50MPa, for small hydraulic equipment closed oil circuit. (1) Due to structural reasons, the bending shaft pump cannot be equipped with an auxiliary pump, so Can only be used as an open oil pump; in addition, due to the variable axis pump variable mechanism. It is to drive the cylinder to oscillate together, so the variable response speed is low. (2) As a variable pump, due to its complicated manufacturing process, the cost is relatively high. High, therefore, variable pumps with displacements below 250ml/r are gradually losing. Competitive advantage, but the large displacement pump is not the only one. The tapered connecting rod piston structure has a starting and transmitting twist due to its. The unique advantages of the moment have a good development prospect.